English: Siskin; French: Tarin des aulnes; German: Erlenzeisig; Spanish: Lugano. Eurasian siskins are about 5.1 in (13 cm) in length. They have a thin, pointed beak. The upperparts of the male are colored gray, with yellow bars on the wings, a yellow belly and face, and black on the crown of the head and just beneath the lower mandible. The female is much duller and more heavily streaked, and has a whitish belly and few yellow markings. 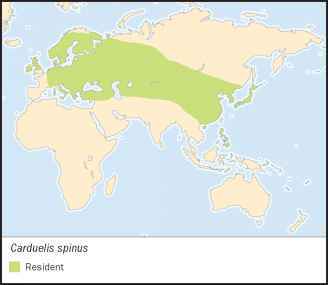 Eurasian siskins range widely across Eurasia, from the United Kingdom, through virtually all of Europe, across Asia to eastern Russia, northern China, and Japan. They winter irregularly in more southern regions within their range, sometimes in large irruptions. Eurasian siskins breed in various kinds of coniferous forest, including boreal and montane types. They often winter in more open kinds of habitats, including gardens. Eurasian siskins can be rather tame, and may even perch on people when being fed. They have a bounding flight pattern. Eurasian siskins are migratory, breeding in northern parts of their range and spending the winter in southern reaches. They are highly social bird, particularly during the non-breeding season when they occur in large flocks, often with other finches. Their courtship and territorial displays include aerial maneuvers and singing by the male. The song is a high-pitched twittering, and there are also distinctive call notes. Eurasian siskins feed on grains and tree seeds and buds. They also use bird feeders put out by people during the winter. Eurasian siskins build a cup-shaped nest of grasses and other plant fibers. The nest is usually placed in a conifer tree. The clutch consists of four or five spotted eggs. They build their nest and lay eggs earlier than usual in years when there is an abundant supply of conifer seeds, even doing while snow is still on the ground. This can allow them to raise additional broods during that nesting season. Not threatened. 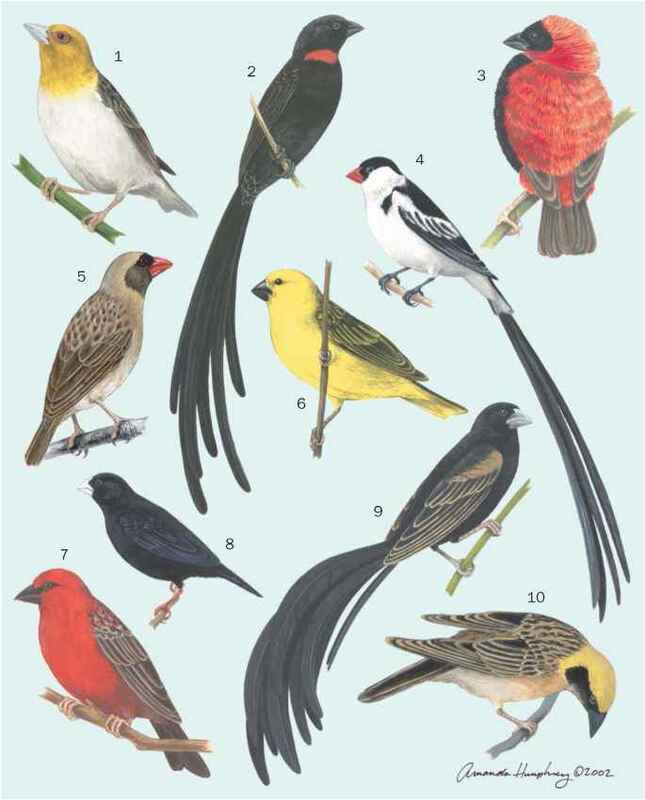 They are a widespread and abundant songbird.